As a solo practitioner, my practice is a patient-oriented family practice, where all of our patients are seen personally by me. We pride ourselves in providing a very personal level of patient care, while developing long-term relationships with owners/guardians of each of our patients. We never hesitate to refer our patients to specialists whenever their problems or conditions require more intense testing and/or therapy than can be provided by a routine practice. Even so, we continue to monitor and follow up on these referred patients, assuring that their continued care is harmonious, humane, and consistent with each pet's lifestyle. Our Staff is a group of experienced and caring professionals that have been hand-picked by me. Our emphasis is on owner/client satisfaction - where you and your pet will have the sense of belonging to our veterinary family. Barnaby sure is the luckiest cat in the world. 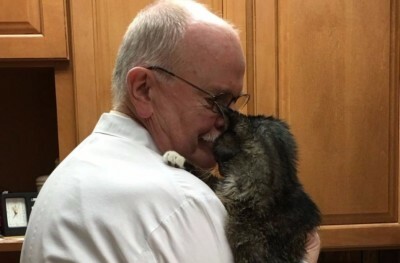 With friends around the globe, and an entire staff to wait on him paw and tail, he went from a stray to loved overnight. 15 Year old Barnaby went from life on the streets of Camden to the lap of luxury at Sheehan Veterinary Centre. 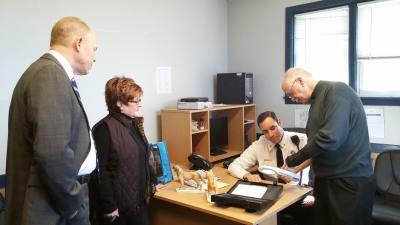 Clare and Ed Sheehan of Sheehan Veterinary Centre donate pet scanners to the local police departments. 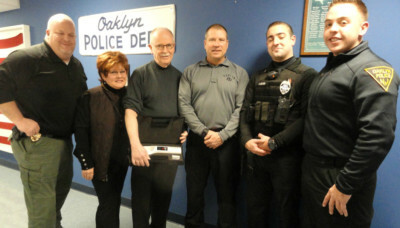 Local veterinarian Dr. Edward Sheehan and wife Clare Sheehan donated a pet mircochip scanner to the Collingswood Police Department! If pets are chipped, PD can quickly reunite owners and pets which not only makes for happy families but also cuts down on PD time to track down owners and calls to ACO. After a violent explosion in Haddon Heights, Companion Laser Therapy and Sheehan Veterinary Centre have Leo the Cat on the mend.